As beautiful as Kenwood's CH250 food processor will look on your kitchen counters with its brushed die-cast steel finish, it's not all about appearances. Inside you'll find a set of four stainless steel blades instead of just two, powered by a 500 watt motor that should in theory chop and crush in half the time. The blades are also stacked in a two-tiered design to more thoroughly puree your food, but if a coarse chop is all you're after the top set can be easily removed. 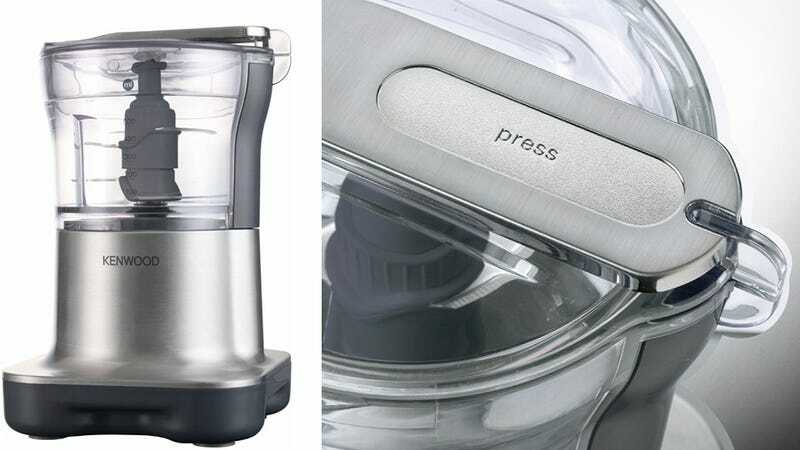 The $50 variable speed power button is also located on top of the processor so while being pressed you're putting extra pressure on the lid, preventing unwanted eruptions.